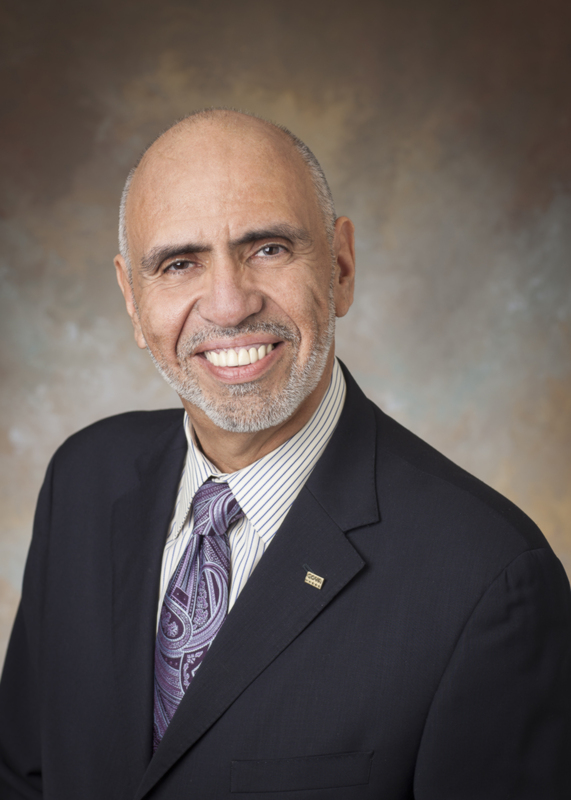 Director of Public Relations, Goya Foods Inc.
Rafael Toro began his career in the field of public relations in 1979 as the assistant to Mayor Kevin White in Boston where he handled a variety of city campaigns, cultural programs and community activities, while serving as a liaison to the Hispanic community. In 1985, Rafael joined Goya Foods, Inc. as Director of Public Relations where he first set out to extend Goya’s outreach and brand awareness to a variety of Latin communities including Dominican, Puerto Rican, Mexican, South and Central American. As the Hispanic population grew throughout the United States and Goya’s popularity increased among general market consumers, Goya’s product line and facilities expanded as well. In turn, Rafael’s responsibilities expanded and led him to play a role in Goya’s crossover into mainstream media. Now celebrating 32 years of employment at Goya, Rafael currently oversees Goya’s public relations department including public affairs, media relations, community activities, corporate contributions, food donations, sponsorships, production and cultural programs. In celebration of Goya’s 75th anniversary in 2011, Rafael coordinated the launch of a yearlong media and event campaign to honor Goya’s history and success. The campaign included a nine city concert series with Latin artists Marc Anthony, Ana Gabriel and Marco Antonio Solis where Goya donated 75,000-pounds of food to local charities in the name of each artist. Rafael also cultivated a strong relationship with the White House and the Obama administration and helped to facilitate President Barack Obama’s recognition of Goya, the only company that has been honored by The President. He also facilitated Goya’s collaboration with First Lady Michelle Obama to launch MyPlate/ MiPlato, a national health initiative to educate Americans on how to eat healthier. Over the years Rafael has extended the efforts of Goya’s good-will under the charitable arm of Goya Gives, a national initiative committed to promoting and supporting the overall well-being of communities through social responsibility, environmental initiatives and company values. Through Goya Gives, Goya supports over 250 organizations including Catholic Charities, United Way, Maestro Cares, L.U.L.A.C., The United States Hispanic Chamber of Commerce, Feeding America and City Harvest. In celebration of Goya’s 75th anniversary, Rafael administered Goya’s donation of one million pounds of food to United Way on the 75th day of the year. He has also coordinated disaster relief efforts for food donations of one million pounds of food to victims of Hurricane Sandy, Maria, Harvey and Irma. In 2016, Rafael developed the Let’s Give to Kids campaign to raise funds for The Maestro Cares Foundation, a non-profit founded by Marc Anthony and Henry Cardenas dedicated to building orphanages in Latin America. He also implemented a mentorship program with a select group of Goya employees and orphans in the Dominican Republic. Rafael and his wife, Meiling Toro, currently mentor two of the children from the orphanage. Rafael also initiated the annual Goya Scholarship Fund and the Goya Employee Scholarship Fund to provide students with a four-year college scholarship of $20,000 in honor of Goya’s dedication and commitment to higher education. Most recently, Rafael created the ‘Can Do’ campaign, a year long, nation-wide cause-marketing initiative to benefit Feeding America. In 2013, Rafael played an intricate role in the commissioning of a life size statue of Roberto Clemente. On June 27, 2013, Goya honored the lifetime achievements of Roberto Clemente and unveiled the statue at the Roberto Clemente State Park in the Bronx to celebrate Clemente’s 40th anniversary of his induction into the Baseball Hall of Fame. The unveiling attracted over 300 members of the community, family and friends as well as press including The New York Times, The New York Daily News, El Diario, CNN Latino, Telemundo, ESPN, and Univision to name a few. Rafael holds a Masters in Education from Cambridge College in Cambridge, Massachusetts. He belongs to the Parish Council of Saint Peter’s Church in Yonkers, New York, is a board member of Ballet Hispanico in New York City and the chairman of the committee for the 50th anniversary gala of Hostos Community College. He has been married for 22 years to Meiling Toro and has one daughter Nicole.